Dreamer? Romantic? Crazy? That’s what most people say when they hear this. Dreamer – Did I dream about being a Princess in a Fairy Tale? No, I prefer motorcycle boots to glass slippers and motorcycles over horse drawn carriages… and I don’t live in the Castle, I work there! Romantic – absolutely. I have come to realize that Castles have magic fairy dust sprinkled all over them. Not just mine, all of them. People fall in love at castles, it’s true!! I have seen it many times now and heard many true stories about it. It even happened to me. But both feet are planted firmly on the ground, and there is no magic wand here. Crazy – perhaps the crazy title is correct. You can see what you think after reading the story, but I don’t think I am crazy like needing psychiatric help, just crazy enough to pursue a big idea and keep going forward when at times it felt impossible. I believe that everything is possible with hard work and a big dose of passion. Like our slogan says – Dream Believe Do Repeat! 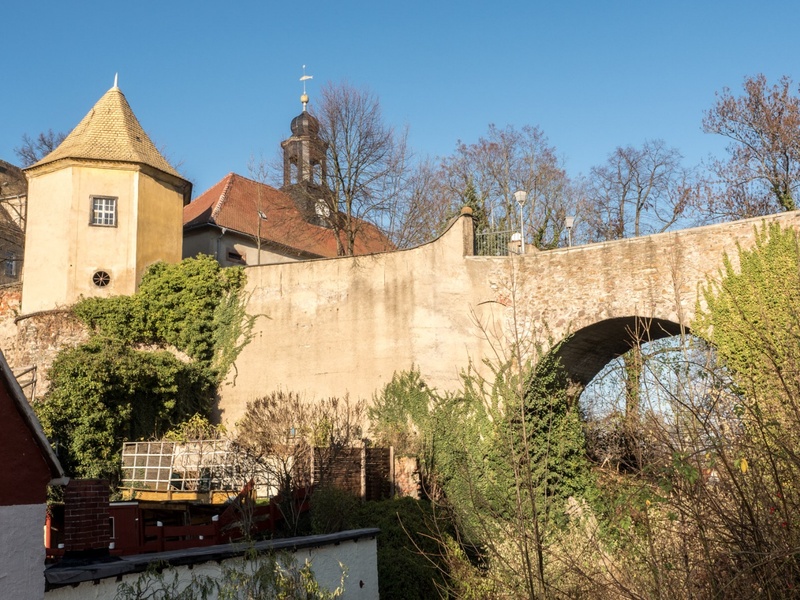 In 2014 I found the perfect property for my business idea in Mutzschen Germany – it just happened to be a Castle, or Schloss as they call it in Germany. My idea was to create a place for motorbike riders that we could call home – MotoSoul. A small village like a ski destination resort with everything a rider wants in one location: great roads, incredible scenery, other riders to meet, good food, shops and services catering to motorbike riders, accommodations, tours, campfires, music and more. The 16 acre Schloss Mutzschen property came with everything I needed, including a castle bridge which crosses over a small river (a moat)!! I am an American citizen. Do I have the right to work in Germany or to live there? I do now! Do I speak German? Ein bisschen (a little), but you can’t let a little thing like language stop you from pursuing your passions right? Do I have any experience in doing business in Germany? Very little when I started, but I have found that the laws and processes are very similar between the USA and Germany. The biggest difference is that Germans still use a lot of paper! Original stamped, signed documents are required for most things. Otherwise, it is mostly the same. GmbH vs LLC, Finanzamt vs Tax Office, Landkreis vs County. At the end, they are just words. Business is business. Marketing is marketing. Taxes are taxes. So what makes this all interesting? Is it simply a story about starting a business? No way! Is it about a mid-life crisis? No crisis here, just a strong desire to make a difference. So what is MotoSoul all about? It is about creating a revolution in how we can use business to do good. To connect people. To inspire others and to make big changes. The idea of MotoSoul was to find like-minded people and rally them together to build something spectacular. So, the next question people ask after the crazy one is usually the money one. How much money do you have and how much money will this cost? I have hired experts to help me determine how much it will cost. I don’t have enough money to do this alone. I also do not have the ability to do it alone even if I did have enough money. This is a team effort and a project that will require money along with a great team to execute. So, in 2014 I had this idea, I told my kids about it, and I decided to do it. In 2016 I signed the purchase documents. What has happened since is often unbelievable, certainly never boring, and some of the most difficult lessons I have learned in my lifetime. The Oberburgermeister (Lord Mayor) of the Region and I held a Town Hall meeting to introduce the idea of MotoSoul to the local people. We expected 200 people to show up. We had over 800 come. The support from that day and forward has been incredible. There is not a week that goes by without someone bringing a gift to the Schloss. We have received original paintings, a door handle, chairs, vintage motorbikes and more. Many bring pictures of the Schloss from many years ago. People are so happy that the Schloss is coming to life again and they truly want us to be successful. During our first construction project the workers spent an entire week trying to preserve an old stone wall. We came back on Monday to find that it had fallen down despite our best efforts to save it. Believer Money – We need people who want to bring their time and money into this project now. We have several who donate their time already or work for little return to further the project. We need others to come and bring small investments to help us get to the next stage of development. Program Money – We have several opportunities for large government grants which require partial matching. These grants will allow us to renovate the main building and create a hotel, convert the park to usable space, and preserve the historical significance of the property. Bank financing – The property can carry some debt and banks are willing to help with financing.